In 2011, the first time I saw The Tree of Life by Terrence Malick, if you would have asked me what word I would use to describe the man as a filmmaker I doubt "genius" would have come to mind. Surprisingly it was only the second Malick work I had seen at that point, the other being a single viewing of The Thin Red Line a decade earlier, and nothing about The Tree of Life worked for me on any level. Well, maybe I shouldn't say nothing, I recognized that the cinematography by Emmanuel Lubezki was stunning, which is impossible to ignore no matter how much someone hates the film, but on a narrative level I was left cold and feeling empty. Nothing about the film made sense and I'm not sure I even tried to make sense of it, I literally swore at my television and turned it off before it was over. It was nearly a year later when a friend of mine, who notably also loathed The Tree of Life the first time he saw it, told me to give it another chance. His revisit had been an awakening to the depth and meaning of the seemingly ponderous narrative and amazing imagery, and I decided to keep an open mind and try it again. That is when the curse words that came after the name Terrence Malick transitioned to genius instead. Let's go back and start from the beginning, as I can get back to the gushing praise of what is now my favorite film later on. In 1973 at the age of 30, Terrence Malick made his feature length directorial debut with the film Badlands which tells the story of a fifteen year old girl named Holly (Sissy Spacek) and the love she shares with a man in his twenties named Kit (Martin Sheen), a character that certainly shares some recognizable characteristics with the great James Dean. When Holly's father attempts to keep the two apart, tragedy strikes and Kit and Holly go on the run from the law across the South Dakota badlands. At roughly only 90 minutes, Badlands is the perfect way to introduce yourself to the work of Terrence Malick if you haven't already done so. The film follows a far more traditional method of storytelling than his more recent work, although you quickly learn that Malick's love of the voice over narration started from the very beginning and continues to this day. Badlands is wonderfully made and a pretty brilliant debut from a young filmmaker, and had it been my introduction to Malick I would have understood that the sky was the limit for his career going forward. Five years later in 1978, his second feature titled Days of Heaven was released and the similarities to his debut were obvious. Much like with Badlands, somehow the imagery in a Malick film doesn't have to necessarily appear aesthetically pleasing at first glance to end up being utterly gorgeous in the frame as the film sweeps you away. The bleak colors of a farm in Panhandle, Texas perfectly suit the texture and vibe of the entire experience, proving that even drab and lifeless can appear vivid in the right context. The story of the film revolves around a couple named Bill (Richard Gere) and Abby (Brooke Adams) who are working intense labor jobs in Chicago and they decide to go south in search of a better life. After gaining employment on a farm in Texas, the wealthy owner of the farm (Sam Shepard) falls in love with Abby and thus invites them to stick around even after the harvest has ended and their seasonal employment period has completed. After discovering that the farmer is ill, Bill and Abby pretend to be brother and sister rather than lovers and Bill convinces her to accept the wedding proposal of the farmer in hopes of inheriting his wealth after he is gone. Days of Heaven is another masterful effort by Terrence Malick that follows similar beats as Badlands and runs at roughly the exact same length. I would assume if you introduced yourself to his work through Badlands and loved the experience, no disappointment would come from this film, as he yet again takes simple characters located at a rural location and makes the story feeling oddly epic despite its rather minimalist nature. 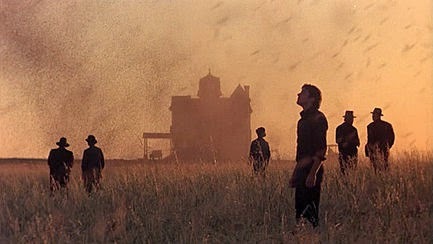 The strange power of Days of Heaven is that the film invokes a sort of nostalgic feeling inside me despite having no real connection the story on display. I have never lived such a life, I have never known such people, yet it all feels familiar, like he is filming something one may have witnessed in a past life. 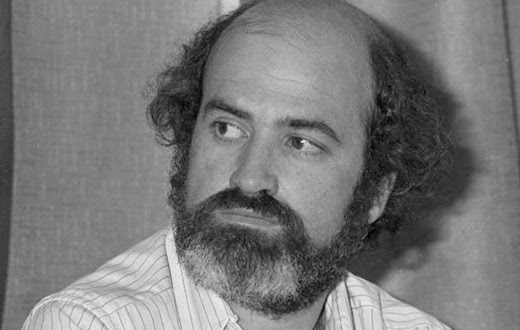 After Days of Heaven things got real interesting for those following the career of Terrence Malick because, ironically, of the silence that followed. For 20 years, Malick would release no films and not be heard from, and rumors of why ranged from his death to the idea that he was living in Paris working as a hairdresser. The man had become a filmmaking legend by doing nothing, because his only two works had become so highly regarded and yet he seemed destined to never add to his filmography. Until, of course, The Thin Red Line was released in 1998. The Thin Red Line is an adaptation of the James Jones autobiographical novel from 1962, telling the story of the battle at Guadalcanal during the second World War, and to put it lightly it is an astonishing cinematic achievement. It was now after the 20 year hiatus that we start to see Malick's transition from using standard, easy to follow storytelling devices to more abstract work, as the depth and philosophical nature of the film is oozing with subtext to dive into rather than just a battle heavy, mayhem filled look at the horrific nature of war. This was my introduction to Malick back in the late 90's, and I don't recall how I really felt about it then, but I can safely tell you that I didn't truly appreciate it and determine it was worthy of the word masterpiece until I revisited after falling in love with The Tree of Life. Oh, did I mention The Tree of Life again? Well I will address it once more, but briefly. It is the greatest film I have ever seen. It makes me feel like a small part of a huge world, which might sound like a bad thing but it really isn't. It is a film that helped me gain perspective on what it means to exist, on the beauty of being a husband and a father and having the chance to drive home every day and see those I love waiting for me on the other side of the door. The Tree of Life may be "just a movie" to many, and I am sure plenty of people hate it and I don't blame them. Hell, I did initially. For me though, it is a recognition that life itself is a miracle and I refuse to take it for granted. The most recent Malick release came in 2013 in the form of To the Wonder, and it is yet another piece of abstract art that feels very similar to The Tree of Life although less grandiose and lacking that importance that can shake my core. I appreciated so much of the beauty of To the Wonder, which focuses on life, love and the nature of human relationships, but I didn't really feel a connection to it by the time it ended, which was disappointing considering the intense feelings I had garnered for the rest of his work by the time I got a chance to see this one. Now at the age of 71, Terrence Malick is busier than ever before with multiple projects in the works, and I can't wait to see all of them. I am sure they will be divisive and abstract and bizarre, and that is why I appreciate the man so much. At a time when most cinematic experiences play it very safe and simplistic, Malick doesn't make films that will be universally loved and I doubt he is in search of such praise. What he crafts are films that are memorable, that promote discussion and debate, and will stick somewhere in your mind long after the screening is done, even if you hated it. We need more minds like the one fueling Terrence Malick, although something tells me such a thing is rare, which is what makes him that much more special. Not listed is The New World, the only film by Malick I have still not seen.